11:00am CDT: First stop this morning was General Cigar, where they are debuting two new brands as well as some interesting line extensions. La Escepción (the name is a Cuban brand that was discontinued 20 years ago) features General’s exclusive Nicaraguan Ometepe tobacco as a binder around Nicaraguan filler surrounded by a Honduran habano Talanga wrapper. It will sell in the $6-7 range and comes in three sizes, including a figuardo (5 x 54). We also heard that General Cigar is hoping to use the Ometepe tobacco, which comes from a Volcanic island with uniquely rich soil, as a wrapper in a future cigar. 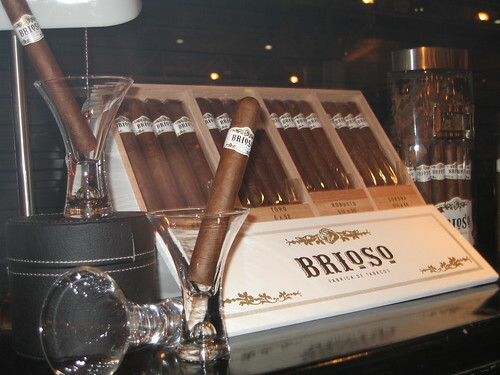 11:15am CDT: Another new General brand is Brioso, which retails at the value price of $3-4. 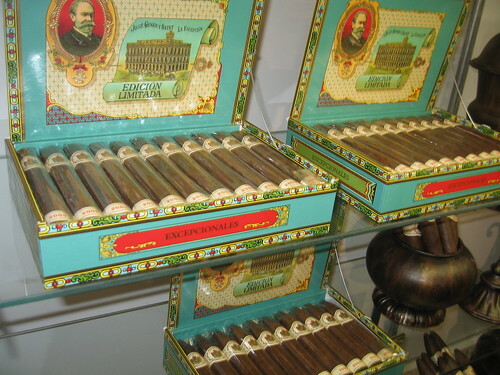 It features a Honduran Jamastran wrapper, a Connecticut habano binder, and a blend of Dominican, Nicaraguan, and four types of Mexican filler. Also of particular interest is “Upper Cut,” an extension of the Punch line based on one of the Punch Election cigars released last year, and new sizes in the La Gloria Cubana Serie R and Macanudo 1968 lines. 11:45am CDT: Sam Leccia, creator of Nub Cigars, told us how he embraces the need to come out with new smokes every year. He showed us the new Nub Maduro, featuring a Brazilian Arapiraca wrapper. He also showed us his new Cain “straight ligero” cigars, which come with either a Nicaraguan habano or maduro wrapper. While Cain does feature three different types of Ligero tobacco, it isn’t 100% ligero because, according to Sam, a small amount of other tobacco is necessary to create a proper burn. Very cool…I was wondering about that whole "Straight Ligero" thing, though, as I've heard from practically every cigar bigwig, aficionado, and store owner that a 100 percent ligero cigar wouldn't burn right. 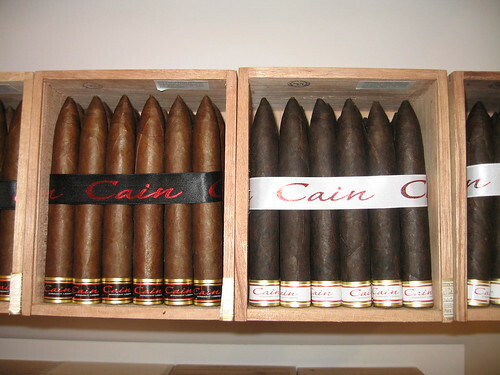 So the Cain isn't really "Straight Ligero" but just "Mostly Ligero." I'll be interested as to what kind of marketing-speak they will come up with to reconcile the claim on the band with the reality in the blend. That CAIN is freakin fantastic! I was really blown away smoking the natural wrapped one. Didn't smoke the maduro yet, but I will in the next day or 2. My favorites of the show were the CAIN, the My Father 1922, the San Cristobal with the sungrown wrapper, and the Liga Privada T52.